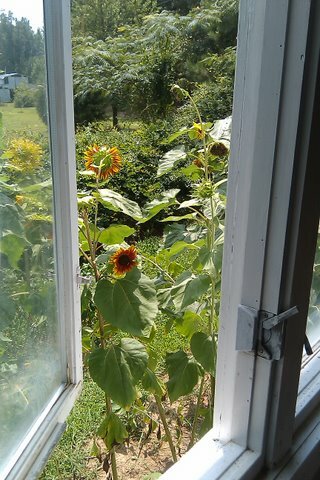 We kept the gardens small this year and controllable. Some wedge shaped bug ate all of the zuchini and summer squash vines so for those who grow more than they can handle we'd like to know how you did that. Some people feel that a portrait has to be a big, grand affair but nothing could be further from the truth! When it touches the heart, the emotion is the same regardless of the size or medium. Recently, a client commissioned a portrait of her sister's dog and below was her sister's response upon receiving the portrait as a gift. 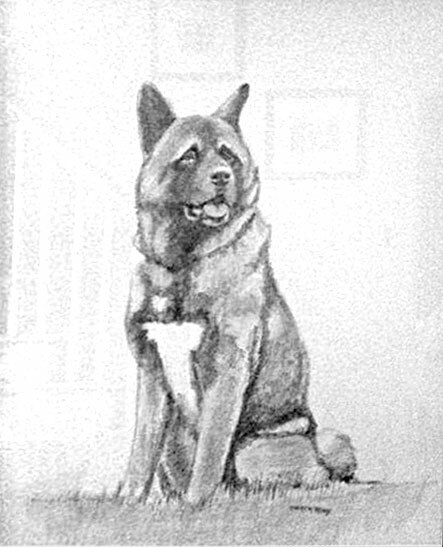 ..I SO love the portrait of my darling Akita! His eyes are perfect....the sweet, loving character shines through. His Daddy [my husband Tom] was overwhelmed. The portrait now resides in my foyer, in a total place of honor, as befitting lovely art and a magnificent subject. My Sincere THANKS for your work in capturing the child of my heart, My Akita Phoenix. 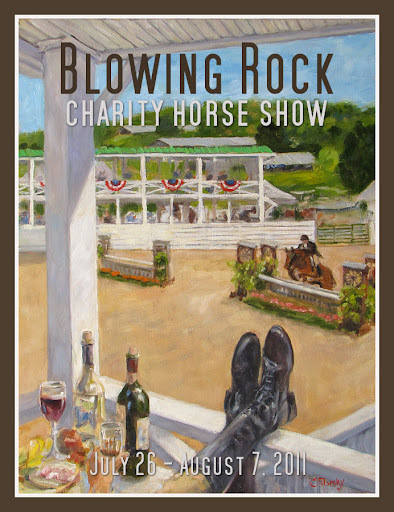 Steve created an unusual oil painting this year for the Blowing Rock charity horse show. He traveled to Blowing Rock to research what he would do (Something involving multiple bottles of wine and sitting in a box) and foud a model for his boots. He'll reveal who it was at the show! The 18 x 24 will be auctioned for the show and posters and t-shirts available at the show booth. 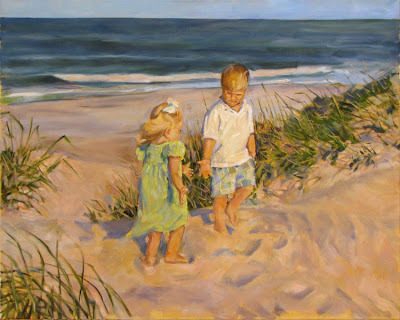 He'll have some beautiful new paintings of the Blue Ridge, the surrounding areas and the show itself! A series of his paintings are now housed in the beautiful Saxapahaw Art Gallery located in an old, restored mill on the Haw River outside Chapel Hill and Mebane. 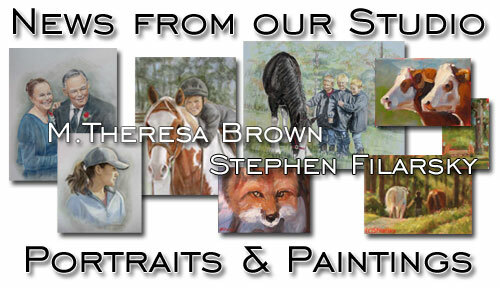 Visit the gallery and visit the local General Store! Creating art has always been our businessand calling, but the past year has seen amazing growth in our studio of our art classes. Our specialty has become the 2 hour "mini workshops" and participants love them! 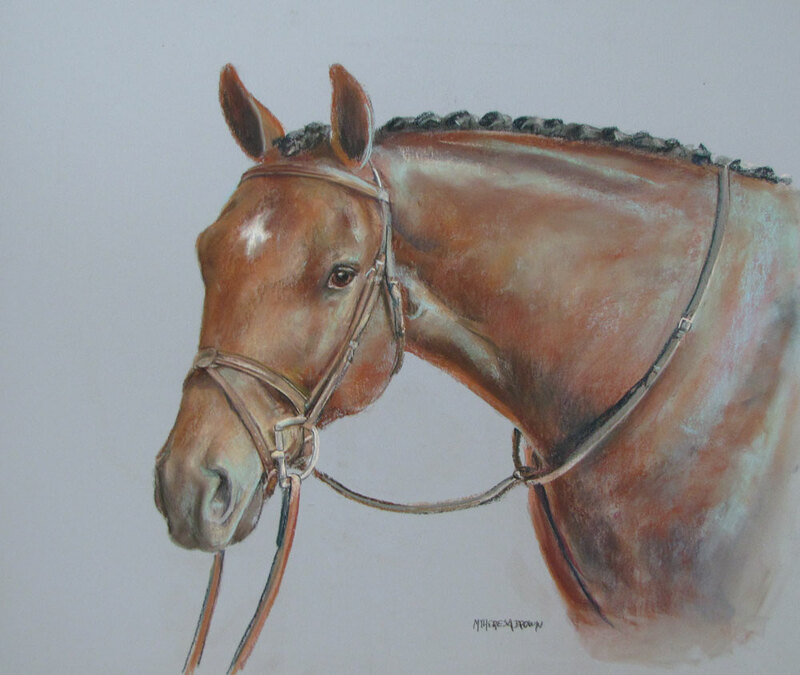 We recently held one of our "Art Parties" as a fund raiser for a 4H horse group at MacNairs Country Acres and with 29 participants we had a hugely successful evening and another one is scheduled for the fall! Take a look at what these girls created in the collage! More fun news! We'll be holding some of our popular "Create to Paint" Art and Wine classes at the Twisted Vine in Wake Forest where participants can enjoy vintage wines by the glass or bottle and enjoy a few hours of the "art zone" with us. Check our schedule for days and times. Our blog has a gallery slide show as well as regular updates. Visit it or the website to see all and sign up for that newsletter to know what classes are coming up each month. 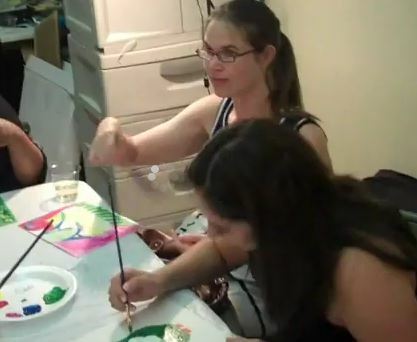 For fun, click on our very short video link to see clips of the art parties we do every second Friday of the month in Wake Forest! "It's a sobering thought that by the time Mozart was my age, he had been dead for twelve years."